Our Android development Lecturer is a lady!!! I get this expression of surprise from students every time I step into a class for the first time. My name is Rachael Orum or [G+], and I am a woman in Tech. I finished my Masters in Software Development Engineering in 2012. 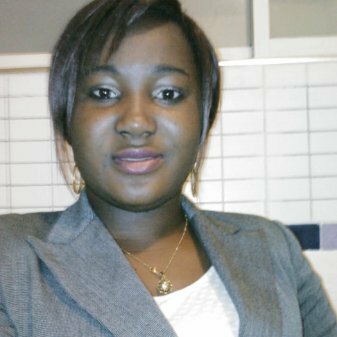 I learnt a lot while serving as an intern in some software laboratories in Benin and in Cameroun during my studies. Coupled with my software orientation is a Degree in Linguistics which I acquired at the “Université D’Abomey Calavi”, Calavi. Rep. of Benin in 2009. I am an impending Doctorate Degree student in Computer Linguistics; I developed a prototype “Yoruba Language Individualized Language Learning ” software which I intend to work on. I run a start up company [SENS ORBIT] since 2013; we have deployed soft solutions for some companies here in Benin. 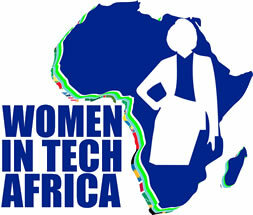 I am currently leading the Google Developers Group [Women Tecmakers’ community at Abomey Calavi], Republic of Benin. I Chose Software Development engineering because I want to make the world a better place by creating software that solve people’s problems. Also, sharing what I know is an exciting thing for me. I love to teach young and passionate youth like myself. Down the road of teaching tech. My interest in Female Technological Awareness aroused when I was in level 100 in the University and found myself in a class of 40 boys with only 2 girls. I immediately realized that most girls do not have the luxury of having parents and folks like mine who made me believe I can do anything I love to do. This became a clarion call for me. Through my few years of Lecturing, I encourage my students to go for the Software Development specialty; the female students in particular. This has not yielded much fruit as the number of female students in the ICT department is still very few and those of them going for the Software Development specialty are even fewer. I cross-checked with other schools here in Benin, The statistics are the same. This is because most students if not all, already decide what they want to become before filling a university admission form. The solution to this, would only be introducing programming to girls before they are able to decide which career they want to venture in; that is WHEN THEY ARE STILL IN SECONDARY SCHOOLS/HIGH SCHOOLS. Decision comes from interest; interest is birthed by knowledge. This vision will become a reality when more girls decide to dive into the world of information Technology at all levels. This can be achieved if we center where girls can learn programming after school. We are sure to raise over 5000 girl developers within the space of 3 years.